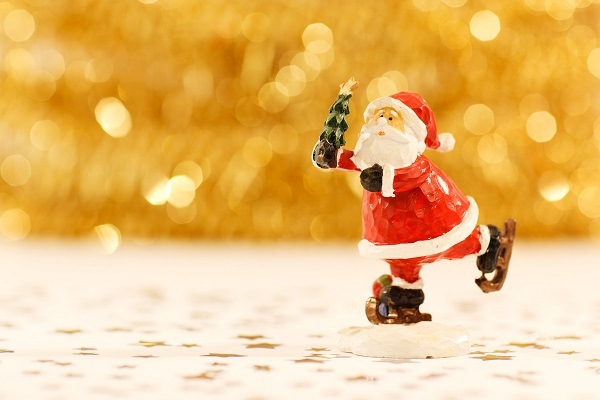 Learn some useful Christmas vocabulary so you can talk about Christmas traditions! Christmas is celebrated all over the world and each country has its own special traditions. Today, we are going to talk about how people in the UK mark the occasion. Look out for Christmas vocabulary written in bold. In the UK, Christmas is celebrated on the 25th of December. In the Christian calendar, this date marks the birth of Jesus Christ (although no one really knows the actual date of his birth!) Nowadays, most British people celebrate Christmas, even if they are not Christian. The period from the 1st December to the 24th December is known as Advent, and children count down the days using an Advent calendar. The day before Christmas is called Christmas Eve, and the day after is called Boxing Day. In December, people decorate their homes for Christmas. They might use tinsel, holly, fairy lights and mistletoe. The main decoration is a Christmas Tree, which is hung with baubles and strung with fairy lights. Christmas presents are placed under the tree. At this time of year, people may go carol singing, often to raise money for charity. They will also go Christmas shopping and will send Christmas cards to friends and family. People will eat traditional food such as mince pies and may enjoy a drink of mulled wine. On Christmas Eve, children leave food and drink by the fireplace for Father Christmas (also known as Santa Claus) and his reindeer. In the night, Father Christmas is said to travel all over the world delivering presents for children. He travels in a sleigh pulled by flying reindeer and enters people’s homes through the chimney! On Christmas Day, families get together and exchange gifts. They also eat a big Christmas dinner which includes a turkey or goose and ends with a Christmas pudding or yule log. After dinner they might play charades or board games, or watch a special Christmas program on television. An Advent calendar – a special calendar used to count the days from the 1st December to Christmas Day. A ‘window’ is opened each day and normally contains a small chocolate. Tinsel – lengths of glittered string which are hung around the house and on the Christmas tree. Holly – a plant with prickly (sharp) leaves and red berries. Fairy lights – small, decorative lights on a string. Mistletoe – a plant with green leaves and white berries, which is hung from the ceiling. When people are under the mistletoe at the same time, they have to kiss each other! 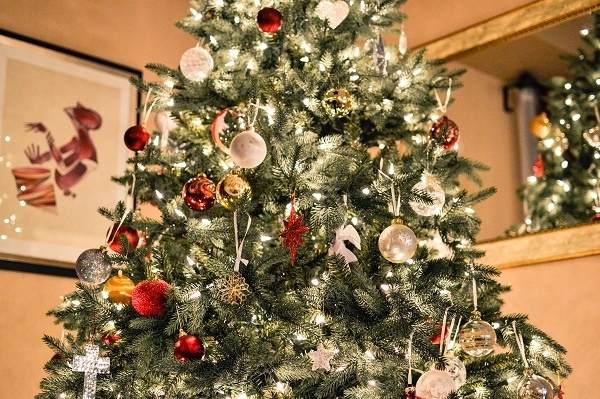 A Christmas tree – an evergreen tree which is kept inside the house for the Christmas and New Year period. A bauble – a spherical (round) decoration which is hung on the Christmas tree. Christmas cards – greetings cards which are posted to loved-ones at Christmas time. A mince pie – a sweet pastry pie filled with mincemeat (a mixture of dried fruit and spices). Mulled wine – red wine flavoured with spices and served hot. A sleigh – a vehicle on runners used for travelling over snow or ice. Christmas pudding – a rich boiled pudding made with flour, suet and dried fruit. A yule log – a chocolate cake in the shape of a log. ‘Yule’ is an old-fashioned word for Christmas. Charades – a parlour game in which players act out a word or phrase without speaking, and other players have to guess the word/phrase.